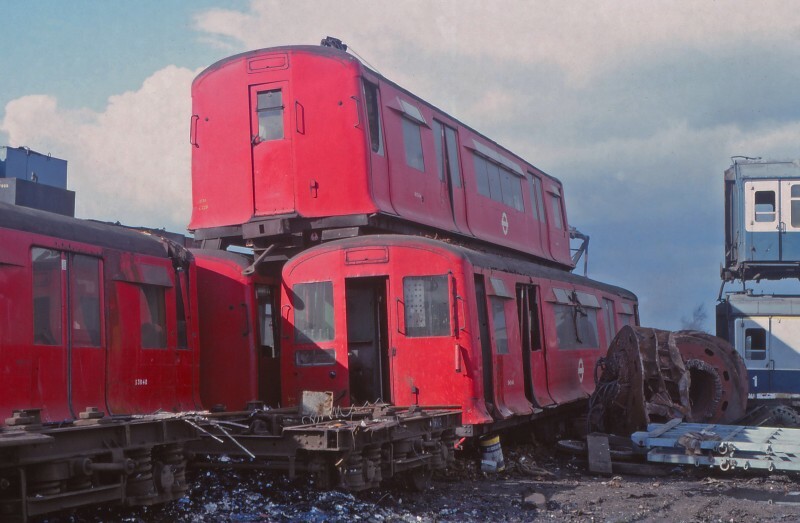 Withdrawn ex-District Line CO/CP Stock was awaiting the call in Birds Scrapyard at Long Marston on October 12th 1981. The car numbers were 53048, 53020, 54348 & 013184. Just visible on the right are two stacked BR Mark I CK coaches, E15838 & 15844. Today scenes like this would not be possible in the obsessive health & safety culture that now prevails.